At PS&E, our purpose is WINNING, SERVING, and ENTERTAINING. We are committed to excellence in everything we do, and our top priority is to serve our fans, our guests and our communities. Our core values include RESPECT, TEAMWORK, TRUST, PASSION, and EXCELLENCE. In alignment with our organization’s overall core purpose, the Pacers and Fever Community Relations Departments strive to impact youth & families through our Education, Social Responsibility and Health & Wellness programs. Through these programs we are able to GIVE back through our spirit of helping, SHARE the resources necessary to encourage success and INSPIRE our youth to reach their fullest potential. 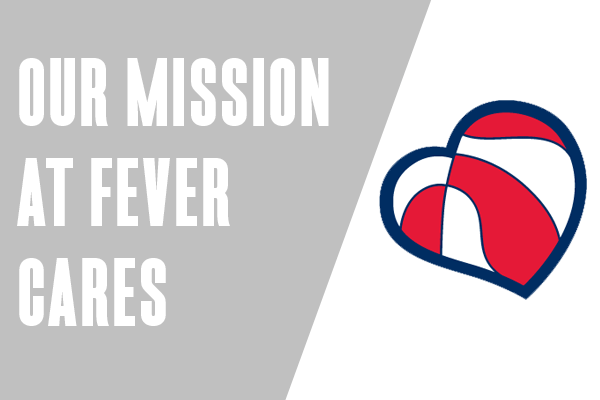 Do you have a question for Fever Cares or Pacers Cares? Check out the Frequently Asked Questions to find your answers.